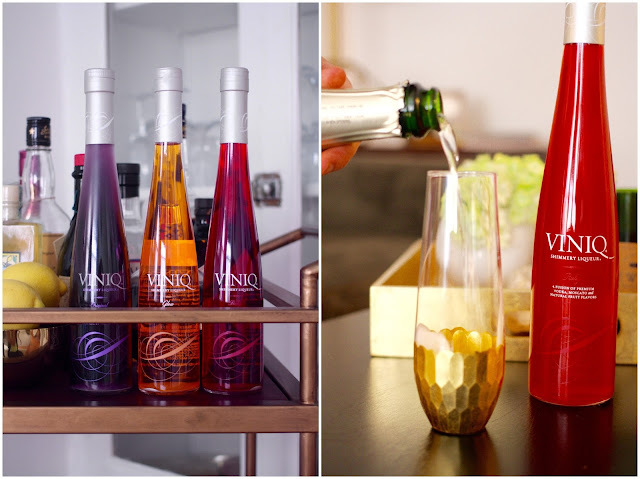 Make the Most: Shimmery Cocktails From Viniq! 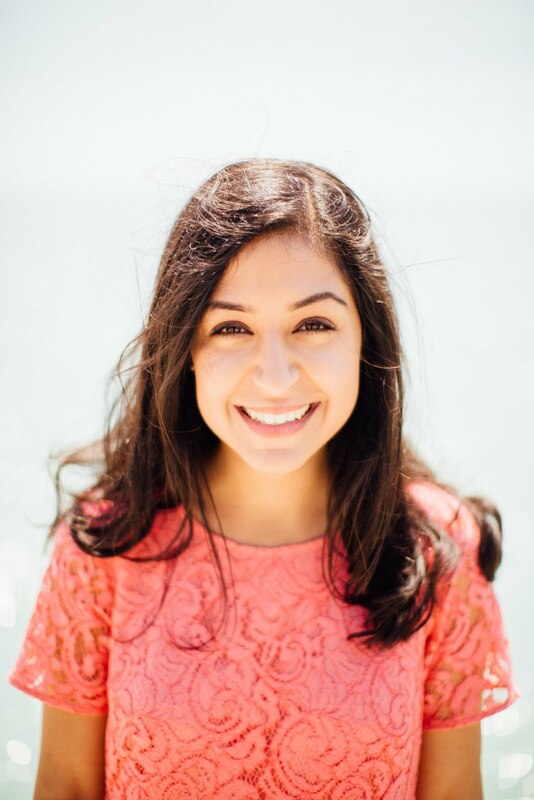 Here's something that will make you roll your eyes at me: After I graduated college, I had a bit of an existential crisis (I mean, who didn't? ), and I wanted to essentially re-brand myself (stop rolling your eyes, they'll get stuck). High on my list of ways to do that was becoming more sophisticated in my drink choices. Although, I'll have you know, I split my time evenly between jungle juice, Natty Light and kamikazes those sweet four years, and looking back, that's pretty well-rounded. Anyway, I was going to be a whiskey drinker (because that's sophisticated ... and the solution to your lack-of-problems problems), but that lasted a few sips ... if we're being generous ... because I'm a chilled wine, fruity cocktail kind of chick (AND THAT'S OK!). 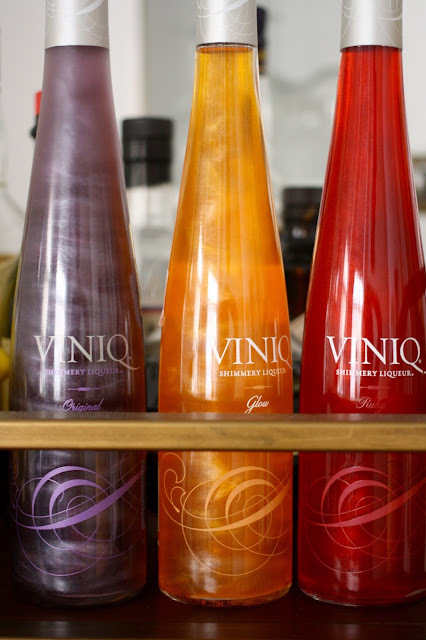 And for all of those other chilled wine, fruity cocktail chicks (and dudes, I know it) out there, Viniq has created perhaps the best thing to happen to our palate... a blend of premium vodka, moscato wine and fruity flavors ... that shimmer when shaken and poured! 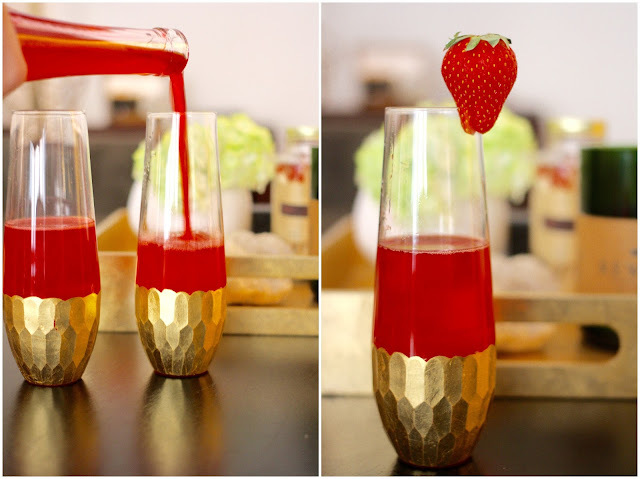 A few weekends ago I made Lake Shore Lady's shimmery galentine's cocktail (3 oz champagne, 2 oz Viniq, 1 oz sparkling water) using the ruby flavor, and while my photos don't do it justice, hers show how pretty and sparkly the drink is, even after being poured. There are also a bunch of videos showing just how much the cocktails shimmer. What do you think, would you try it? It's kind of nuts, but super cool and delicious. And sure to amaze your guests! I love this!! Totally agree with you, too - sometimes it feels SO good to have a fruity cocktail type of drink ... and not feel bad about it either!! Glad you liked it! !